India wanted and projected the goals to have 20,000 MWe from nuclear energy by 2020 and 60,000 MWe by 2030. With the impasse created due to Civil Liability For Nuclear Damage Act 2010, the target for 2020 has been scaled down to about 11080 MWe. Indigenously produced Pressurised Heavy Water Reactors (PHWRs) can not produce electricity in sufficient amounts when compared to what can be done with imported Light Water Reactors (LWRs). No wonder that India is producing only 5780 MWe from Nuclear energy currently. With Indo-US Nuclear Cooperation Agreement in 2008, and waiver from the Nuclear Suppliers’ Group (NSG), India was able to get rid of two decades-old embargo on nuclear trade, which was imposed on it after 1998 nuclear tests. India was expected to sign and ratify Convention on Supplementary Compensation (CSC) and enact a Civil nuclear liability Act, which was commensurate with CSC, to facilitate importation of Nuclear plants/reactors and components. India signed CSC in 2010, just a few months before the Nuclear Liability Act was passed, but has not ratified it as yet. Nuclear Civil Liability Act (Civil Liability For Nuclear Damage Act) was passed in Indian Parliament in 2010. The Act has now become a major stumbling block for the suppliers of Nuclear energy plants and components, irrespective of where they are from. As a result, no supplier-domestic or international- is willing to supply such plants to India. India has deals with many countries for the importation of Uranium, but no deal with suppliers of Plants or components to use that Uranium. Its result is that Nuclear energy production has not had the projected growth. This is affecting Indian economic growth. All the Conventions-Vienna, Brussels and Paris, and CSC have one common stipulation, and that is about absolute exclusion of any liability of suppliers for any nuclear accident. Liability lies exclusively with the Operator of Nuclear Plants, and the Operator does not have a recourse to sue the Supplier. Indian Nuclear Liability Act has given this recourse to the Operators to sue the Suppliers for the liability if there was any latent or patent defect in the Plant and/or substandard service. On the surface, this does not look unusual but this provision clearly violates CSC provisions. If India ratifies CSC, which it had promised many years ago, right to recourse provision will become null and void. USA does not accept validity of any provision of any Liability law if it violates CSC provisions. If India gives this exemption to USA suppliers like Westinghouse Electric or GE Electric, then it will have to do the same to French and Russian suppliers. Section 17 b and Section 46 of Civil Liability For Nuclear Damage Act 2010, which give right to recourse for the Operators to sue the Suppliers and also the right to victims to use provision of Indian Tort law, are in breach of CSC provisions. Not only the operators can use right to recourse and sue Suppliers for the loss, victims can also sue suppliers under provisions of section 46. 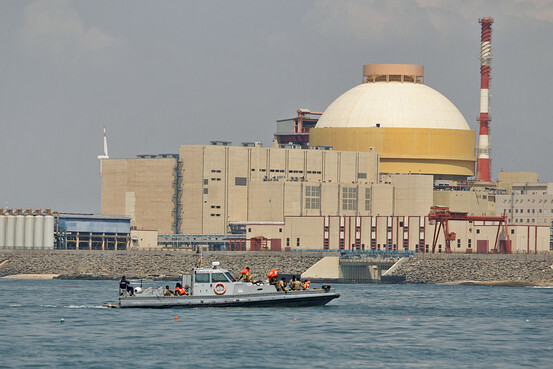 Indian Liability to the operator is capped at $1500 Crore ($250 million), which is a relatively small amount to compensate damage from a nuclear accident. Many other countries have much bigger, or even unlimited, amount as the cap for such damage liability. There is no doubt that new Govt in New Delhi needs to tackle this impasse quickly and reach a mutually acceptable formula. This could be via an amendment to bring Indian Liability Act in line with CSC or via some other mechanism like well-defined insurance package to the suppliers from some insurance companies. India needs pragmatism to remove the impasse to have sufficient nuclear energy. Previous Indian Govt led by Dr Manmohan Singh had to accept amendments in the original draft of the Civil Liability For Nuclear Damage Act 2010 Bill, simply because it did not have sufficient goodwill or strength to overcome the opposition in the Parliament, but current Govt led by Mr Narendra Modi should be able to tackle this matter because it is not compromised with coalition compulsions. India needs energy, which can be produced easily, speedily, and does not cause harmful effects to the environment. To do so, it needs nuclear reactors from USA, France and Russia. They do not want to sell these reactors/plants until Suppliers’ liability issues from Section 17 b of Civil Liability For Nuclear Damage Act 2010 is sorted out amicably. Australian Uranium to India:Why Australia should sell it to India? Last year, the then PM, Kevin Rudd and several ministers including the then Deputy Prime Minister, Julia Gillard visited India. India is an important country for Australia on multiple counts. It is a rising global power which is also an important trading partner of Australia. Indian students’ issues aside, both countries enjoy friendly relations with one another. We, Indian Australians, have a keen interest in seeing good relations between these two countries. Both countries must consider the interests of one another while doing business with one another. There are too many things which bind us together. These are our democracies, rule of law, multi-cultural societies, love of Cricket and memberships of the Commonwealth to name a few. Previous Australian Gov led by PM John Howard did many things to move Australia and India closer. He declared that he would sell Uranium to India as India had impeccable records of nuclear non-proliferation. Other important step in this direction was a decision to initiate a quadrilateral strategic dialogue involving USA, Australia, India and Japan. Yet another was the naval exercises called Malabar exercises involving Navies from India, USA, Australia, Japan and Singapore. After winning the Gov in 2007, Kevin Rudd led ALP Gov reversed the decision to sell Uranium to India and other steps too became non-operative from one or the other reason. Unhappy with Australia’s policies, India did not participate in Kakadu Naval exercises where even Pakistani Navy showed up. Basically, Australia-India relations have moved backward since 2007. They moved back a few degrees more after the students’ issues last year. A serious work is required to rectify this situation. Indian economy is growing and will keep growing for years to come. GFC [Global Financial Crisis] did not affect India as much as it did others. India is on a roll. The only thing which holds India down is the fact that it has a problem in regards to its energy supply. It needs more and more energy for its growth. It needs as much energy as it can get its hands on. Indian economy’s growth is essential not only for India but it is also essential for the health of the world economy. India has been exploring all sources of energy supply as its local supply is far shorter than what it needs. India has to import petroleum from the Arab countries and is debating about the gas supply from Iran. Iranian Gas is however problematic as it has to transit via Pakistani territory which is a problem in itself. Pakistani Govt authorities will never be able to guarantee a secure transit due to its weakness and the presence of the “non-state actors” there who are anti-India. In addition, India cannot rule out a war between India and Pakistan which will create problems in the transit of the gas. India is therefore forced to explore the option of atomic energy. It has no choice. Thanks to the leadership of The Prime Minister, Mr ManMohan Singh and the then US President, Mr George Bush, India has an India-specific NSG [Nuclear Suppliers’ Group] exemption in 2009 which enabled it to have bilateral nuclear energy deals with USA, Russia, France, Canada and some more countries. India needs a similar deal with Australia which will allow the Uranium sale to India. Australia has about 40% of world Uranium and sells it to China. NPT should not be an obstacle for Australia to sell Uranium to India after the NSG’s India specific exemption and with India’s impeccable record in nuclear non-proliferation. NSG exemption was a testimony to the fact that India has been a responsible country and has never been involved in nuclear proliferation, unlike others in our neighbourhood. Australia supported this exemption. NSG exemption permits nuclear trade by India without signing NPT. We should remind ourselves about what the former Australian PM, Mr John Howard had said about such sale. He said that it would not be fair to sell Uranium to China and deny that to India. PM Howard was dead right. When Kevin Rudd’s ALP Gov reversed Mr Howard’s decision, India was upset and disappointed. Indian Australians were upset too. People felt that it was an unfair decision. India had a difficulty to understand the logic behind this decision once India was given NSG exemption with an active support from Australia. NPT issue is not relevant at all in regards to India as India has impeccable records in these matters. ALP’s policy, insisting on NPT signature by India, is wrong and ill-considered. Australian Foreign Minister Mr Stephen Smith’s press conference in New Delhi is worth going through. It is available through DFAT website. India has never been involved in nuclear proliferation unlike Pakistan and China. China is a NPT signatory but its record in these matters is not that great. Everybody knows the nexus between China and Pakistan. We should not forget how North Korea got its atomic bombs. Pakistan would not have supplied anything to North Korea without the consent of China. Manuals in Chinese language were found even in Lybia which tried to buy things from disgraced proliferators like AQ Khan of Pakistan. Simply put, it makes no sense for Australian Uranium going to China but not to India. In fact, there is more justification for Uranium sale to India. It will be pragmatic and a smart move if ALP drops its objection to selling Uranium to a non-NPT signatory country like India because India has fault-free records in proliferation matters and this fact has been recognised by the world with the India specific NSG waiver. ALP decision to not sell Uranium to India has been considered unfriendly by many quarters in India and Indian Australian community. It is a big stumbling block in good Australia-India relations. I have urged the Australian PM and ALP to give India a “fair go” through emails and my Blog. I argued that it was what was expected from a friendly country. It is not fair to bind Australia with the NPT dogma and not see the whole issue in a realistic way. A friend has to see the problems of his/her friends properly. Australia is a friend of India. It showed it by supporting the NSG exemption for India in Vienna last year. It shows it by supporting a permanent position for India in UNSC. It is about time that we see it once again by seeing Uranium trade between Australia and India. As we understand, it [ALP] would not have any political fallout from its decision to sell Uranium to India because the Coalition is already in favour of doing so. It should not be a problem to amend Atomic energy Act either, giving an India-specific exemption for Australian Uranium sale to India. I remain doubtful though whether ALP and specifically ALP Left will change its objection in this regard. I urge my Australian Indian friends to lobby with their local MPs on this matter. We need to pool our energies in persuading the Australian Gov to sell Uranium to India. Like Lowy Institute’s Rory Medcalf [Ex Australian High Commissioner to New delhi], I and thousands of my friends in Australia do believe strongly that Australia should sell Uranium to India. We find this refusal to sell Uranium to India unfair and illogical. India needs new and cleaner sources of energy and nuclear energy is at the top of its list. Nuclear energy will not only help India but it will help the whole world as it will reduce pollution and carbon emission. A time has come when Australia sees the issues properly and does the right thing. That right thing is to sell Uranium to India. PM Julia Gillard, if elected on 21st Aug, will get an opportunity to change this illogical policy and sell Uranium to India but will she do it is yet to be seen. Tony Abbott, if he gets the mandate on 21st Aug, and his team including Julie Bishop, Joe Hockey and Andrew Robb have already reconfirmed their resolve to sell Uranium to India. We want some significant movement for more meaningful and better Australia- India relations. The question in our minds is whether ALP will do the right thing or whether it would be the coalition which will do it! Australia India Day Function Council celebrated its first Australia / India Republic Day at the Ryde Civic Centre, Ryde on the 24th January 2012. The program was an astounding success with more than 500 prominent Indians, representatives from over 20 Indian Associations, and star-studded politicians from both the Labor and Liberal parties from State and Federal level attending this event. The celebration started with the singing of Indian and Australian anthems, followed by entre which was followed by the first part of the entertainment programme. The guests were welcomed by Harish Velji and the MC was Dr Yadu Singh. Vote of thanks was given by Ms Shubha Kumar. At no time in the past 20 years, any function organized by any Indian Association/s had such massive response for such events. The only limiting factor in getting more numbers to attend the event has been the capacity of the Ryde Civic Centre function hall. Hon Ms Maxine Mckew [Parliamentary secretary, Fed Gov & representing Prime Minister of Australia], Hon Mr Joe Hockey [Shadow Treasurer, Fed Parliament & representing Hon Tony Abbott, Leader of Opposition in Fed Parliament],Hon Mr David Borger [NSW Minister], Hon Mr Peter Primrose [NSW minister], Hon Ms Barbara Perry [NSW minister & representing NSW Premier], Ms Angela D’amore [Parliamentary secretary, NSW], Hon Mr Laurie Ferguson [Parliamentary secretary, Fed Gov], Mr David Clarke MLC [Shadow Parliamentary secretary & representing Mr Barry O’Farrell, Leader of Opposition, NSW], Mr Phillip Ruddock [Shadow Cabinet secretary, Fed Parliament], Mr Greg Smith [Shadow Attorney General, NSW], Hon Ms Amanda Fazio [President, Upper House of NSW], Hon Ms Tanya Gadiel [Deputy speaker of NSW parliament], Mr Chris Hayes MP, Mr Michael Richardson MP and Mr Shaoquett Moselmane MLC. Clr Mark Adler – Canterbury Council, Clr Tony Hay – Hills Shire, Clr Barbara Burton – Hills Shire, Clr Vaseekaran Rajdurai – Holroyd Council, Clr Bill Whelan, Hawkesbury Council, and Crl Trent Zimmerman, North Sydney Council also attended this function. Hon Mr Amit Dasgupta, Consul General of India, Sydney and Mr Gautam Roy, Consul from the Indian Consulate, Sydney also graced this function with their presence. In a highly emotional and charged up speech, Mr David Clarke [representing Mr Barry O’Farrell] from the Australian Liberal Party, said that if his child goes to India he is sure the parents in India would treat him as their son and look after him. On a similar manner, he urged that the Australian Moms and Dads to treat the Indian students as their own sons and look after them. He went on and paid tributes to India and its traditions by saying that ‘India practices what it preaches. Ms Barbara Perry [representing the Premier of NSW] spoke eloquently about the contribution of Indian Australians and declared that violence against Indian/international students will not be tolerated. She said that students are very welcome in NSW. She was dressed in Indian attire which people appreciated with enthusiastic applause. She spoke about the interest of NSW premier and Gov in working actively with the Indian Australians. Hon Joe Hockey, speaking at the function, said the Liberal party is fully committed to its policy of supplying Uranium to India. Dr Yadu Singh, while responding to Hon Joe Hockey’s speech encouraged the Labor party to consider similar policy and implement it as early as possible. He explained that the issue of NPT is not relevant in case of India after India has been given an India-specific exemption from NPT by the NSG [Nuclear Suppliers’ Group] in Vienna last year. Ms Maxine Mckew also spoke very highly of India, Indian Australians and multi-culturalism in Australia. She also explained that India and Australia have a great relations and it will get even better despite some hiccups. She was very impressed with the enthusiastic participation of women Indian Australians in this function. Her speech generated a thunderous applause from the audience. All the speakers from both the major parties spoke highly of India, Indian traditions, Indian sports – in particular Cricket, and the Indian political landscape, which stood the test of times for more than 62 years since securing independence from the British rule in 1947. All speakers were enthusiastically applauded by the audience. 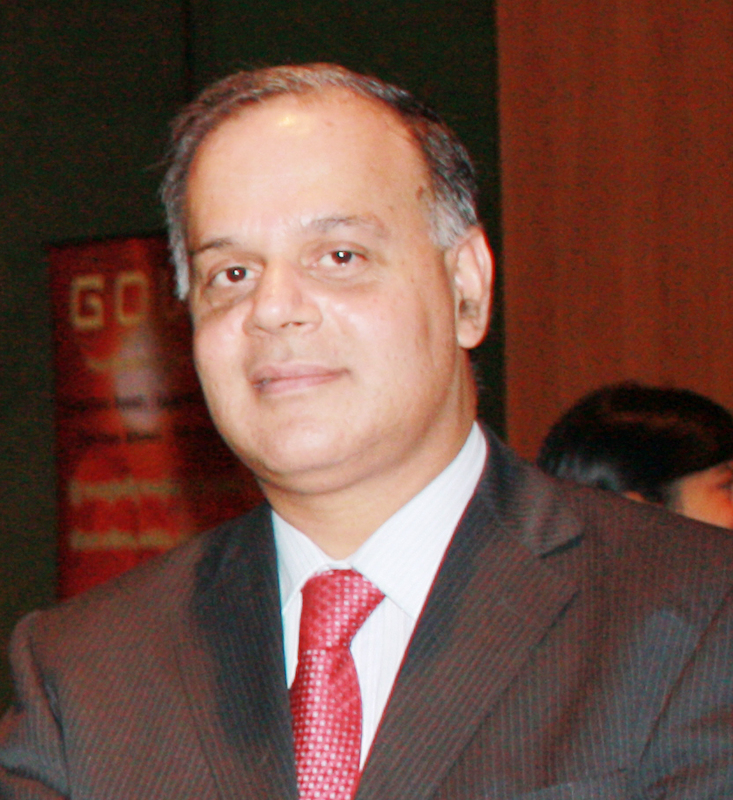 On a second major issue, the Consul General spoke about exploitation of the Indian students by Indian business – in particular the food/restaurant industry whereby the restaurant owners pay less than the wages stipulated under the labor law. He insisted that all business owners must do ethical business. He further went on to say that ‘I will not attend any function where he is not assured of suppliers to that function follow ethical standards in conducting their businesses’. The entire hall including all the politicians from both major parties echoed with a big applause. The overwhelming response to this event is an indication of the ‘changing times’ and ‘changing outlook’ to the leadership and responsiveness to the current issues and challenges being faced by various sections of the Indian migrant and student community living in the State of New South Wales. Surely the representation of more than 40 students from the International Student community is an indication that they want to hear from the leadership and also from the large number of politicians on their views and actions proposed to be taken to address their issues. The Chief of VETAB [Ms Margaret Willis] and her assistant, Mr Shona Tannock and Mr Robert Redfern, Commander, Parramatta Police command [representing NSW Police Commissioner] were present as our guests. Ms Willis’ and Mr Redfern’s presence was meant to send out the message that quality of training and safety of students are 2 key issues in relations with Indian students. It is noteworthy that students had paid at a very subsidized rate and all others including the organizers, except a very small numbers of VIP guests, had bought the tickets for their participation in the function. The representation from more than 20 Indian Associations is a clear indication which shows they are bewildered with the current policies and practices, and financial management of our current top associations and leaders. The one fundamental reason for this large support stems from the fact that they found a new leadership in the AIDFC which can respond to the current issues and make representations at both Australian and Indian Government levels with a solid and united voice. Some of the major Indian organizations who supported the event included the India Club, The Sydney Sangat, Australian Punjabi Business Association, Australian Indian Business Congress, Punjab For Ever, The Australian Tamil Association Inc (ATA), Hindi Samaj and the Aligarh Muslim University Alumni Association (AMU) in addition to others. ACR International Tours and Travels added spice to the event by offering one return air ticket through Singapore Airlines for auction. The auction added nice A$1,000 to the much badly needed money for the ‘benevolent fund project’. Mr Navneet Chaugar was the winner of this ticket. For the raffle draw which helped us collect about $750, the Good Guys offered a Plasma 26 inch TV which was won by Councilor Bill Whelan of the Hawkesbury City Council. Congratulations to the winners! Media-both Indian and Australian, were represented with Indian Link, The Indian, Punjab Times, Hamare Rang [Pakistani] and most importantly, Channel 9 team present in the function. This was the very first time that Channel 9 crew was present in an Indian function. Many other ethnic community leaders also graced the occasion with their presence. AIDFC has made a number of public announcements at the function to the community as a part of its commitment for the future. Prominent among them is the creation and implementation of the AIDFC’s Benevolent Fund. We are committed to get this fund going and make a significant contribution to the well being the Indian migrant and student community, our fellow Australian community and finally to our mother country – India. Finally we promise you that we will provide you a solid leadership and will representation at various levels. We will have clean governance in all matters of the AIDFC management – in particular finance management. We will adopt an ‘open book’ approach in all these areas. Consideration will be given to broaden the current AIDFC to include more Associations, individual members and businesses. The community will be getting more frequent updates in the coming weeks and months! Ghungurus Group of Shalini Patel was the provider of the entertainment programme which was of 50 minutes duration and had the mix of Bhangra and Bollywood songs/dances. Every one enjoyed it tremendously. Catering was done by Billu Group with great food, dessert and wines. This function was so well attended and so well done that it has become a matter for the discussion among Indian Australians and the political eaders in NSW and Canberra. This function has now become the talk of the town. Mumbai Terror attack 26/11/08:What are the lessons? I remember getting a call from Rahul Jethi, a banker in Sydney, and a good friend and whose brother is in Indian army, early in the morning of 27th Nov 2008 [Sydney time which is 5.5 hours ahead of Indian time], about the terrorist attack in Mumbai. I switched the TV on and saw the reporting of the attack. It made me sad and angry at the same time. As it became clearer that LET was involved, I became more angry. I was helpless as I could not do much to help the people in Mumbai. I watched the attack unfold and kept myself updated through the days. I kept reading the statements from leaders from all over the world. Thankfully, Kasab [the lone terrorist survivor] was arrested. I was angry that pakistan kept denying the nationalities of the terrorists even when the evidence was overwhelming. That has become the standard operating procedure for Pakistan. Shameful and outrageous!! By now, we have details of Kasab’s interrogation/trial, and have seen the reports in various channels including ABC Australia, CNN and BBC. Only recently, Farid Zakaria covered it in CNN GPS programme. A great deal is known by now. It is all clear that 10 terrorists came from Pakistan and LET was the sponsoring terrorist organisation. These terrorists were trained in Pakistan. The whole world is asking Pakistan to bring the perpetrators [supporters/sponsors] of the Mumbai terrorist attack to justice. Lot of things have changed since 26th Nov, 2008. I hope, things would keep moving in the right direction to prevent further terrorist attacks in India. The whole world has to work against the menace of terrorism. Either Pakistan changes its ways itself or the world forces it to change. There is no alternative option. So many people lost their lives for no reason. This has to end. 1. India will continue to have attacks of this nature because some elements in Pakistan are hostile to India and have an agenda to harm India. Some inside ISI and Pakistan army are madly fundamentalists and are pathologically inimical towards India. 2. India is a vast country with long borders with Pakistan and Bangladesh, from where these terrorists do cross into India and will keep crossing in future too. We have to do every thing to reduce if not prevent it. India must identify illegal Bangladeshi stayers in India and expel them without much delay. Throw them in the ocean if we have to but they can’t be allowed to stay in India. No vote bank politics please! 3. The whole world has to force Pakistan to dismantle the terrorist organisations and their infrastructure to prevent attacks from Pakistan. USA and Europe are crucial in this. India must keep working with the world powers to force Pakistan to change its ways. India needs to have the right people in the ministry of external affairs to be able to have a desired effect in this matter. Shashi Tharoor is a competent minister with the contacts and experience in these matters and may be, he should be made the cabinet minister. 4. India has to improve the intelligence gathering capability significantly. 5. India has to improve the command structure to face such attacks effectively and efficiently. There was a significant delay in getting NSG commandos to Mumbai during the attack. They had to wait for hours before a plane could be arranged to fly them to Mumbai. That is outrageous. India needs to have a proactive thinking rather than a reactive one. Even the chief minister Mr Deshmukh took more than 4 hours to return to Mumbai. 6. Indian media must be forced to follow certain rules during such attacks. Media was showing the live coverage of the attack which was used by the terrorists’ minders/handlers in Pakistan to guide the terrorists. It was not helpful. I dare say, it led to many more deaths than it would have been otherwise. Indian media needs to be told that certain things are not on. Their TRP battle is not above human lives and national interests. 7.1. India has to become ruthless in investigating and prosecuting those who are involved in terrorism and those who are supporting such elements. There should be a speedy trial. Once convicted, these terrorists should be punished severely without any delay. It is not a good idea to keep convicted criminals like Afzal Guru to stay in the jail because his mercy petition is pending with the president for this unusually long period. Why is his mercy petition pending with Indian president for years? This is outrageous! Those dreaded terrorists who were released during the Indian Airlines plane hijack, were also in the Indian prison for years without a trial. India has done a good job by establishing a national investigation agency [NIA]. NIA officials should be given freedom to work independently without any political pressure. 7.2. India must not allow any segment of its society to feel alienated. All opportunities/benefits must be truly available to every Indian irrespective of their region, religion or caste. Nation building must be taken up with redoubled vigour. 8.1. India must have a campaign to do public education to make people aware re how to keep the eyes/ears open to anything unusual and what to do when a terrorist attack is happening. We saw a big crowd of onlookers during NSG [National Security Guards] counter-attack which is not smart. Where was the crowd control? 8.2. The civil police must be trained properly. It is not a good idea for top police officials to be in one single car which was not bullet proof. This was the case even when they had access to the bullet proof vehicles. This led to costly loss of lives of the leaders of police force. We hear that Mr Karkare and others did not receive immediate help after being wounded. One wonders whether some of these great policemen would not have died if we had an efficient medical, police and rescue systems. 8.3. India and Indian public needs to do every thing to look after the near/dear ones/dependents of the brave security men/women who give their lives to protect us and the country. Gov authorities need to do many things to let people know that India has utmost respects and gratitude for such brave men/women. 9. Indian leaders were issuing the statements after statements but not much came out of that. We should learn to show results rather than just talks. 10.1. India needs to improve its military capabilities in such a way that Pakistan or its supporters do not dare look towards India. We need to revamp the capabilities of our air force, navy and artillery. 10.2.While working on the military capabilities, India needs to work with redoubled vigour to settle the outstanding issues with its neighbours. I am keen to hear from you with your views on these matters. Australia should sell Uranium to India:Australian Labor Party [ALP] should drop its objections to sell Uranium to India! I was happy to see that Deputy Prime Minister, Hon Ms Julia Gillard and several federal ministers have visited India recently and now Prime Minister, Hon Kevin Rudd is visiting India in a couple of days. He has already been to China, USA, Japan, Indonesia and many other countries, and I believe his Indian trip was truly overdue. His previous planned visit to India had to be postponed for various reasons. India is an important country for Australia on multiple fronts. Indian students’ issues aside, both countries enjoy friendly relations with one another. We, Indians, in Australia, have a keen interest in seeing good relations between these two countries. We know that both Indian and Australian Governments are working seriously to fix the problems involving the Indian students. Australia and Australians are accepted as friends by India and Indians. I do not think the recent problems which our students faced, are going to cause a lasting damage to Australia-India relations. Indian economy is growing and will keep growing for years to come. India is on a roll. The only thing which holds India down is the fact that it has a problem in regards to its energy supply. It needs more and more energy for all its needs. It is essential not only for India but it is also essential for the health of the world economy. India has been exploring all sources of energy supply as its local supply is far shorter than what it needs. India has to import petroleum from the Arab countries and is debating about the gas supply from Iran. Iranian Gas is however problematic as it has to transit via Pakistani territory which is a problem in itself. Pakistani Govt authorities will never be able to guarantee a secure transit due to its weakness and the presence of the “non-state actors” there who are anti-India. In addition, India can not rule out a war between India and Pakistan which will create problems in the transit of the gas. India is therefore forced to explore the option of atomic energy. It has no choice. Thanks to the leadership of The Prime Minister, Mr Man Mohan Singh and US President, Mr George Bush, India has an India-specific NSG exemption and India has been able to have bilateral nuclear energy deals with USA, Russia, France and some more countries. India needs a similar deal with Australia which will allow the Uranium sale to India. Australia has about 40% of world Uranium and sells it to China. NPT should not be an obstacle for Australia to sell Uranium to India after the NSG’s India specific exemption and with India’s impeccable record in nuclear non-proliferation. It is therefore unfair for the ALP Gov to deny Australian Uranium to India. NPT issue is not relevant in regards to India as India has an impeccable records in these matters. Australian Foreign Minister Mr Stephen Smith’s press conference in New Delhi is worth going through. It is available through DFAT website. India has never been involved in nuclear proliferation unlike Pakistan and China. China is a NPT signatory but its record in these matters is not that great. Every body knows the nexus between China and Pakistan. We should not forget how North Korea got its atomic bombs. Pakistan would not have supplied anything to North Korea without the consent of China. Manuals in Chinese language were found even in Lybia which tried to buy things from disgraced proliferater AQ Khan of Pakistan. Simply put, it makes no sense for Australian Uranium going to China but not to India. In fact, there is more justification for Uranium sale to India. It is fully justifiable if ALP drops it objection to selling Uranium to a non-NPT signatory country like India because India has a fault-free records in proliferation matters and this fact has been recognised by the world with the India specific NSG waiver. Australia itself supported this exemption actively. I therefore urge the Australian PM and ALP to give India a “fair go”. This is what is expected from a friendly country. It is not fair to bind Australia with the NPT dogma and not see the whole issue in a realistic way. A friend has to see the problems of the his/her friends properly. Australia is a friend of India. It showed it by supporting the NSG exemption for India in Vienna last year. It shows it by supporting a permanent position for India in UNSC. It is about time that we see it once again by seeing Uranium trade between Australia and India. As we understand, it [ALP] would not have any political fall out from its decision to sell Uranium to India because the Coalition is already in favour of doing so. It should not be a problem to amend Atomic energy Act, giving an India-specific exemption for Australian Uranium sale to India. I and thousands of my friends in Australia do believe strongly that Australia should sell Uranium to India. We find this refusal to sell Uranium to India to be unfair and illogical. India needs new and cleaner sources of energy generation and nuclear energy is at the top of its list. Nuclear energy will not only help India but it will help the whole world as it will reduce pollution and carbon emission. A time has come when Australia sees the issues properly and does the right thing. That right thing is to sell Uranium to India. PM Mr Kevin Rudd has a perfect opportunity to declare Australia’s intentions during his visit to New Delhi in a couple of days.